Life insurance is as essential for the young executives as it is for the retiring CEO, the good thing is that insurance is more flexible and affordable at a younger age. When thinking life insurance we often leave out the young, well-educated and tech-savvy executives with the notion that life insurance is for the older generation who have families. Life insurance is as essential for the young executives as it is for the retiring CEO, the good thing is that insurance is more flexible and affordable at a younger age. Here are 4 reasons of having life insurance at an early age. When you take up a term plan, section 80C of the income tax act, grants benefit from tax exemptions of all Premiums up to a limit of Rs 1.5 Lakh. Additionally, in the event a claim on a term insurance, the payout is plan is fully tax exempt under section 10(10(d)) of the Income Tax Act. When you take up a term plan earlier, you will not only have provided for financial stability, in the event of death, for your dependents but also gained an opportunity to save on taxation for longer. Factors related to age disease and lifestyle place the older generation at a higher risk profile than younger people. When you are older insurance service providers will on their part charge you a higher premium when seeking life insurance. A term plan taken up at an earlier age attracts a significantly lower premium than one taken at a more advanced age. The premium will not increase with age or with the growth of your family. Due to increased competition in the insurance sector, insurance companies have increased their variety of products and product mix. Product mixes such as term plans that come with a critical illness cover offer better cover for critical illness situations and are notably less restrictive to the younger policyholders as compared to older ones. A term insurance plan will enable you to work better with peace of mind knowing that your family is well taken care of in the event of your death. Your dependents will not have to bear the burdens of loans or even daily expenses without your input. 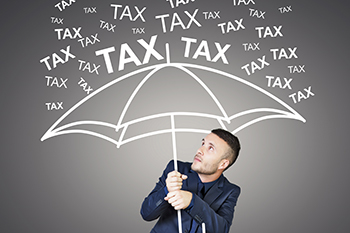 A term insurance plan offers a simple affordable and comprehensive cover that has tax saving benefits. Younger people stand to gain more advantages by taking up this essential financial planning tool.